Dyslexia Scotland is delighted to announce that we have been donated an original oil painting of Sir Jackie racing at the 1969 German Grand Prix in the Matra MS80. 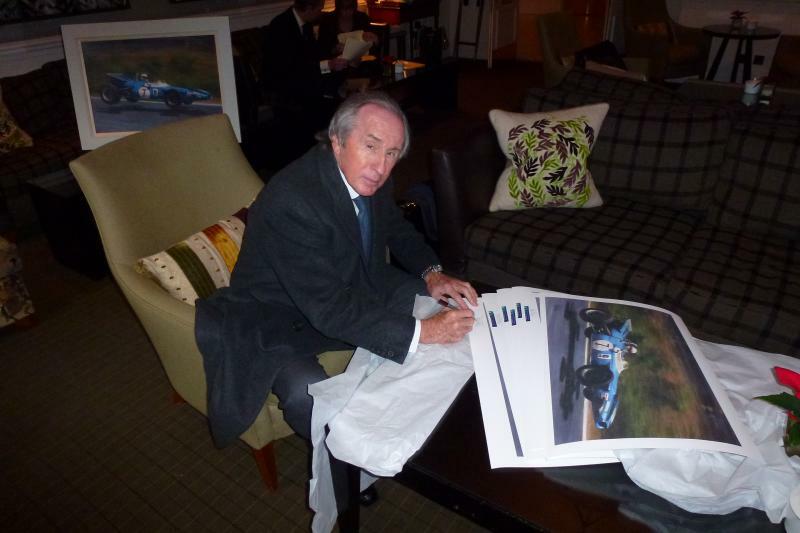 The painting was commissioned in co-operation with our President Sir Jackie Stewart, in order to raise funds and awareness for Dyslexia Scotland. The original will be displayed at various events between now and September when it will be offered for sale to the highest bidder. A limited edition signed print of the painting is available to buy. We are very grateful to the artist for his generous donation of this painting and to Robin Jeffrey for organising the project.